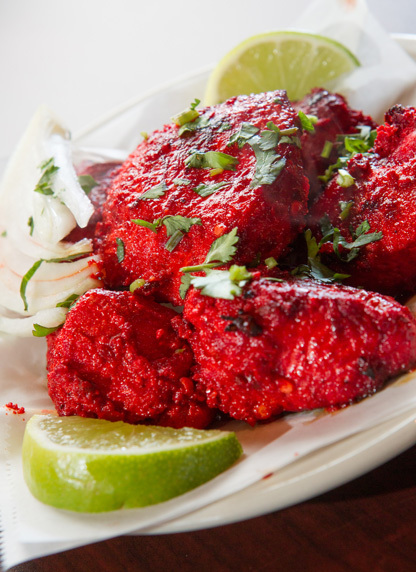 Tandoori chicken at Sheesh Mahal. Photo by Brent Fuchs. 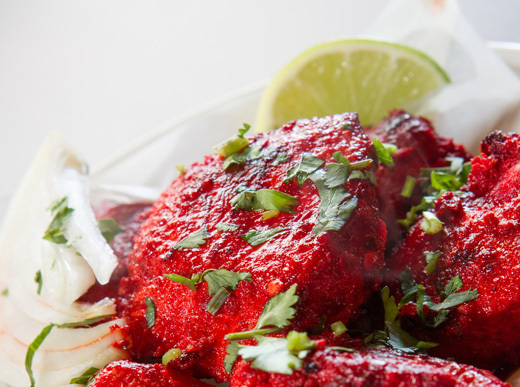 Curries, tikka masala, samosas and naan are but a few of the delicious selections at Sheesh Mahal, an authentic halal Pakistani and Indian restaurant located in northwest Oklahoma City. Favoring traditional takes on cuisine, Sheesh Mahal serves fresh food spiced with flavors of the East. Menu options are written on a chalkboard, and prices are beyond reasonable. Goat curry, tangy with tomatoes, onions, ginger and coriander, is stewed until tender and served with rice. Butter chicken, palak paneer and chicken tikka masala are also popular options, as are the naan, samosa and pakoray that are traditionally found in Indian restaurants. A friendly staff that’s eager to walk new diners through the menu enhances the great experience at Sheesh Mahal. 4621 N. May Ave., Oklahoma City. 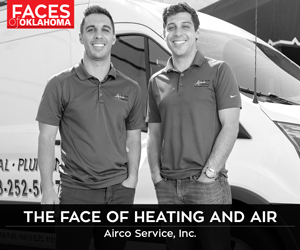 405.778.8469.